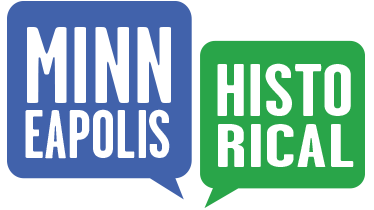 Many of Minneapolis Historical's building descriptions have been contributed by unpaid volunteers. In 2017, creation of descriptions and photos of buildings on the Nicollet Mall were funded by the Downtown Improvement District. In 2017, creation of descriptions and photos of the Red River Ox Cart Trail were funded by grants from the Minnesota Historical and Cultural Heritage Fund and by the St. Anthony Falls Heritage Board. In 2013, the implementation of the Curatescape software platform and data entry for the Old Highland tour were funded by the Minnesota Historical and Cultural Heritage Fund. The Marcy-Holmes tour was funded by the St. Anthony Falls Heritage Board. The licensing of the Curatescape platform was made possible by the Arts and Cultural Heritage Fund through the vote of Minnesotans on November 4, 2008. Administered by the Minnesota Historical Society.